This article on matching horses to fiction is part of the Science in Sci-fi, Fact in Fantasy blog series. Each week, we tackle one of the scientific or technological concepts pervasive in sci-fi (space travel, genetic engineering, artificial intelligence, etc.) with input from an expert. Please join the mailing list to be notified every time new content is posted. Rachel Annelise Chaney spent her childhood inhaling every scrap of horse information she could find and riding every equine she could climb on. Since adopting an ex-racehorse, she’s ridden, trained or cared for everything from Thoroughbreds to Quarter Horses, Drafts to Arabians, Warmblood jumpers to Paint barrel racers. A reader and writer of SFF, Rachel currently languishes in the Eternal Pit of Revision. You should follow her on Twitter. Send coffee. Ignore frustrated screams. If you’re on this blog, you care about getting your fictional horses right. Congrats! This puts you ahead of 90% of Hollywood. Here’s the deal, most writers get horse terminology (gaits, colors, tack, etc.) right. These are universal facts. Unchanging truths. Correct regardless of breed or worldbuilding. If you don’t know this terminology, check out the excellent horse articles by Amy McKenna & Karlie Hart! Reality: *stifles laughter* Um, no. Like dogs, humans developed horse breeds over centuries of selective mating. Each breed was created for a specific purpose. The first thing you should do is pinpoint your horse’s purpose. Are they a knight’s mount? An over-rough-terrain horse to take your character on a trek? A nobleman’s hunter or a cavalry steed? Each purpose takes a different kind of horse. So you’re writing a Medieval Fantasy and have armored warriors that need to charge into battle. You might be thinking they need a big horse, tough and muscled. Something like the Budweiser Clydesdales, perhaps? Sorry, but no. Contrary to popular belief, most armored knights did not use giant, heavy draft horses. Based on recovered equine armor and illustrations, knights’ mounts (known as chargers or destriers) tended to be short to average height at 14-16hh tall and stocky. Reason: If unhorsed, an armored warrior needed to be able to leap back on his mount. Those 18hh drafts? Not happening! 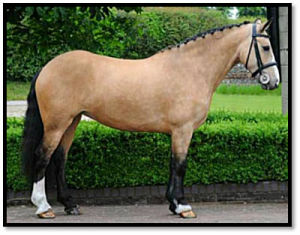 A 15hh horse? Absolutely! The smaller, stocky build is also better for sharp turns, kicks, rears and charges in the heat of battle. Most draft horses are known as Gentle Giants. The fire needed for battle? Not their thing. The closest modern equivalent to the medieval charger: the Irish Draught. The most common mistake I see in books, movies, and TV shows is the use of fine-boned horses on long treks, frequently Thoroughbreds. 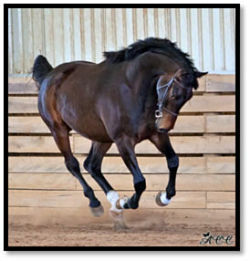 When most people think of horses, the thoroughbred tends to be the default view of how they look, move and act. Thoroughbreds are great. I own them. I adore them. I harbor no illusions about them. Like most thoroughbreds, De Vedras and his buddies have lots of heart, so they would go on that long trek over the mountains and through the woods if asked. But they would drop weight, probably get injured or dehydrated, and definitely suffer from fatigue. If your character is going on a long trip, give them a sturdy mount, like the hardy Mongol horse. Or Napoleon’s small but intrepid Marengo, an Egyptian Arabian, who carried the French dictator through the Alps. The smaller horses may not be able to whisk your character away from danger or magnificently rear, but they’d laugh in the face of exhaustion or hazardous conditions. Still love thoroughbreds? Rejoice! Here’s their optimal placement. Both hunting horses and post-Medieval cavalry horses shared similar job descriptions and necessary skills, so I’m lumping them together. For hunting, a horse needed to be energetic enough to leap obstacles, fast enough to keep up with prey, and cool-headed enough to listen to its rider. After the rise of gunpowder weapons and the fall of armor, the physical conformation of cavalry horses shifted. Instead of short, stocky chargers, cavalry mounts got taller and leaner. They had to be fiery enough to charge into the fray, nimble enough to get their riders out of lethal situations, yet calm enough to obey commands immediately. 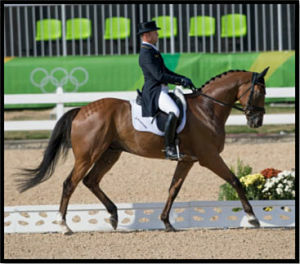 The closest modern equivalents to these horses are Thoroughbreds and Warmbloods – the same breeds that compete in the equestrian sports that evolved from cavalry training. If you’re writing a nobleman’s hunter (from any era) or a for-pleasure mount or a Flintlock Fantasy, stick to thoroughbreds and warmbloods. They’re tall (15.2-18hh), muscular, fast and agile. THROW A FRIESIAN IN IT. When a Friesian stole the show in Ladyhawke (1985), movie producers decided Friesians were the best thing since peanut butter. So now they cast them. In. Everything. *exaggerated eye roll* No, no, no, no. If you find yourself describing your character’s horse as big and black with a flowing mane and tail and feathered feet: stop, collaborate and listen. Friesians are extremely costly. Always have been. They’re amazing animals, but they are NOT cart, commoner, or insane asylum carriage horses. Looking at you Beauty and the Beast (2017). Does your horse have a specific use? Keep descriptions in line with the breeds intended for that. Do not give your commoner a Friesian. Don’t give anyone a Friesian unless they’re A) rich B) need a Warmblood. 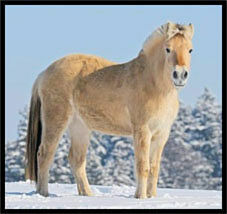 Misconception: Horses are hardy and can weather harsh climates. Reality: Horses are both surprisingly tough and exceptionally fragile. If your world features harsh or unusual climates, match your horses to that world. Are your characters moving through a desert, rocky wasteland, or otherwise hot and arid world? Don’t pull a Game of Thrones and put heavy horses in there. You wouldn’t stick a Siberian husky in the desert, would you? Big, muscly horses need lots, lots, LOTS of water, food and forage to maintain that size. In reality, those Friesians the Dothraki ride across wastelands would likely die of dehydration and heat exhaustion.. 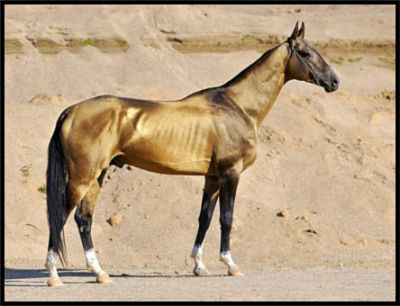 If you’re writing a desert-esque world, go for a breed that snorts in the face of extreme heat and lack of vegetation – like Arabians, Akhal-Tekes, or Marwaris. Like these breeds, your mount should be lean, compact, and light on their feet. On the shorter side (14-16hh), the desert breeds are masters of endurance. Need to go a couple thousand miles? They’ve got you covered! These smaller, leaner equines can take you for longer distances, with less food, than a heavy mount! On the flip side, don’t put that Arabian in a wintry climate! You wouldn’t put a Husky in the Sahara, so don’t put a greyhound on the Alaskan sled team. Most horses can weather cold temperatures (Pun intended. I kill myself.) with blanketing and care by their owners. But if your setting features below zero temps, snowstorms, or persistent wintry conditions, you may need to consider going with a horse breed designed to live in freezing climates. Cold weather horses tend to be heavier than the average riding horse and grow out a thick, fuzzy coat in the winter. While a big draft horse fits the bill, smaller breeds like the Icelandic Horse or the Fjord are great examples of a horse designed for cold winters and mountainous terrain. If your setting is mountainous, icy or subject to freezing temps, the best match for your world is a horse with strong hooves, thick muscles, and super fuzzy winter coat. How tall or short they should be depends on their purpose. If you have an unusual setting or climate, pick a breed that matches. 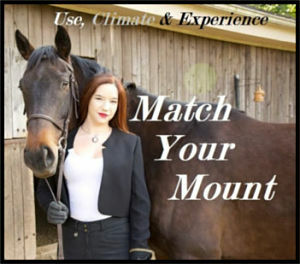 If your setting doesn’t have extreme weather or unique terrain conditions, refer to the prior section on matching your mount to its purpose. Nearly all breeds can survive just fine anywhere that doesn’t have extreme hot or cold. Use whatever breed you want! YOLO. *points back to Game of Thrones Friesian* I don’t think I need to further explain why Hollywood’s wrong here. Misconception: Horses are living bicycles. If you learned how to ride, you can ride any horse. Reality: Every horse has a will, emotions, personalities and quirks. They think, feel, act and react. Matching your specific character to a complementary horse is a case-by-case issue, and not necessarily important unless horses are a vital part of your narrative. There are, however, a couple of big issues you should avoid. If you’re character is not an experienced rider, do NOT put them on a stallion! Don’t put anyone on a stallion without a solid reason. As much as Hollywood likes Friesians, books and movies like stallions even more. Most stallions are temperamental, aggressive, and dangerous. Calm, attentive stallions do exist, but they’re the exception to the rule. When in doubt, go with a gelding or mare. On the same note, don’t give your character a cool, spirited horse if they’re a nervous or excitable type. Horses are incredibly perceptive, and however a rider is feeling translates through their body and language and down the reins to the horse. Is your character a confident, skilled rider? Sure, throw them on that fiery steed! Otherwise, I wouldn’t recommend it. There are few more horse articles coming, including one that maaaaybe addresses the reigns/reins issue. 😉 Keep an eye out! thank you! This is a keeper. I say this whose hero (1830’s Paris, former officer of Horse Artillery) rides a Percheron/Thoroughbred cross when he has to get in the saddle. Percheron/Thoroughbred is a prime cross! My purebred Thoroughbred never raced because he somehow got that sporthorse/draft cross heavy build, and he’s a fantastic ride because of it. Smooth and solid. If you have any questions about anything, I’d be happy to answer the best I can! I’m writing a story set in a post-apocalyptic small town in the Ozarks, where they have developed their own ‘breeds’ of horses: some heavy/draft types for logging and plowing, warmblooded cavalry types for the elite’s military use, and quite a lot of middle-of-the-road types that the middle class use for trading and hunting. The hunting isn’t from horseback, they use the horses to get around in the wilderness around them, and to haul the carcasses home. The climate is moderate temperate, somewhat warmer than at present (climate change). I want the horses to be plausible developments from horse breeds already commonly available in the US and suitable for the purposes I’ve outlined (I’d love to use the Nooitgedachter, but it’s rare even in South Africa where it comes from). What about the Budjonny? Or the Shagya? Morgan? What about the Nez Perce nation’s breed of horses? This is a great question! I’m having to run out the door right now, but I wanted to A) apologize that I haven’t gotten back to you sooner and B) assure you I’ve been giving this a lot of thought. I’ll shoot you my best suggestions as soon I get back to a computer tonight. I’m going to apologize in advance for the length of this comment. Once I start thinking about something, I tend to go all in! 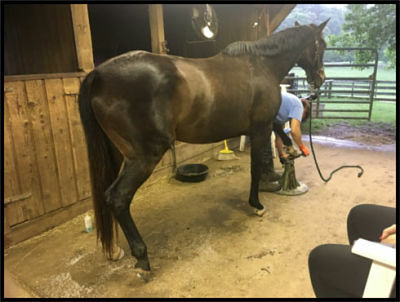 You’re coming at this front the right angle, looking to base your horses on breeds that are commonly available in the US and suitable to the purposes your characters need. A HUGE consideration for your story is the population size of breeds and their nearness to the Ozarks. So some breeds might seem ideal for the purposes of your characters/world, but the chances they would be available are slim to non-existent. Even in a technologically capable world like today, transporting horses from one part of the world to the another is no joke. If you see a rare horse or an expensive horse or a champion horse moving from one part of the world to another, they’ve likely been guarded & taken care of better than a baby. European Warmbloods shipped to the US for competition are wrapped up like antiques and go into quarantine. Champion Thoroughbreds fly on Air Horse One (I’m not making this up!). Why? Because it’s HARD to transport horses long distances without them getting injured or sick or dying. Imagine how difficult it would be to get horses transported in a post-apocalyptic world. Probably not going to happen. So you should stick with breeds that already in close proximity to the Ozarks. The chances they would be near the Ozarks when your apocalypse happened are basically nil. The Nez Perce breed is good for use, but after 20 years of breeding programs, there are still only a few thousand. And most of those are not near the Ozarks, as far as I’m aware, so the likelihood they would be available as a foundation breed for your characters/world isn’t nil but still low. The Morgan is a good one. They’re hardy, smart, and relatively easy to get your hands on. The Morgan is already used as a base breed for a lot of crosses today, and they are known for being able to do everything from pull a plow to jump to race. They’re a great pick! A really good base breed for a setting in the Ozarks is the Rocky Mountain Horse. Despite its name, the RMH was actually bred in the Appalachian mountains. It hasn’t been in existence very long, but it’s already up to 25,000 registered horses. It’s breed success is likely due to its durability. They were bred in the mountains, so they have strong hooves, tough constitutions and can trot/rack for long periods of time. A sizeable portion of the population exists in West Kentucky/the Midwest, so it would be 100% believable if they ended up in the Ozarks. They’re noted for their unusual coloring. Look them up, they’re pretty cool. You should also consider breeds that are SUPER common in the US. We might have small number of rare breeds, but there is no contest when it comes to our population of Thoroughbreds and Quarter Horses. In fact, a lot of people cross-breed those two to get the Appendix. Quarter Horses are far and away the most common breed, and they would be an ideal base horse for all our middle-of-the-road uses. TL;DR: I’d suggest using Quarter Horses and Rocky Mountain Horses as the base breed for your middle class use. Trading, hunting, riding. Etc. Thoroughbreds, Anglo-Arabians, or Morgan/TB crosses for your cavalry use. Thoroughbreds/Thoroughbred crosses have been the preferred cavalry horse since the fall of armored warfare. They’re ideal for charges, jumping, and staying calm in crazy situations. Considering how many are available in the US, it’s entirely plausible they would be your Elite Military mounts. Warmbloods are bit hardier, but they’re not easily attainable in the US – at least not as much as Thoroughbreds. One thing to consider from the outset is how far-future your book is set. A lot of horse breeds slowly developed over centuries in response to changing weather, economic, or travel conditions. The modern Thoroughbred, for example, was only bred into existence when travel became easier and hot breeds (Arabians, etc.) were transported to Europe to be crossed with heavier horses there. So how much your world has identifiably “new” breeds of horses will depend on A) the amount of time that has passed from modern day to your time period and B) whether they would have needed to create new breeds. Some breeds haven’t changed much over the last centuries/millennia because they have no reason to. Arabians, for example. Their use hasn’t changed much, so their conformation hasn’t been altered except by breeders trying to create a designer look. If the weather and geography of your world is vastly altered from modern day, they might need to create new breeds. But in a post-apocalyptic future, I’d imagine developing new horse breeds would only be important if necessary. I.e. if they couldn’t survive in their modern form. Hi Rachel, for some reason I missed the -email alert for your reply. Thank you so much for that in depth comment, it’s brilliant. I’d never heard of the Rocky Mountain Horse before, going to go search for it now. I didn’t know how tough it was to transport horses. The back story on the community in my novel is that they’re an intentional community/eco-village founded well before a slow, gradual collapse of our civilization, who intentionally selected various breeds of animal (their economy is based around wool and sheep dairy products, so I’ve also done research on sheep breeds). It’s set 150 years into the future, with relatively mild climate change but massive resource decline, pestilence and social upheaval. So your advice is pretty much exactly what I needed. I just now saw your response, so no problem! 😀 I’m glad my comment helped. I have a couple more little suggestions based on this comment if that’s cool. Obviously, if you have questions about anything health-wise, you can drop a comment under that article or this one, and I’ll answer as best I can! Your Setting: so if the main change isn’t temperature but resource decline, that’s actually a worse scenario for your horses. As I note in this article, horses aren’t TOO susceptible to heat and cold (except for extreme breeds). 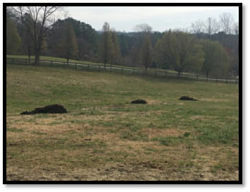 However, ALL horses are susceptible to lack of resources – and I mention this in the article I linked above. If your world has minimal forage and horse feed, that’s gonna limit the breeds that would realistically survive. Drafts and Warmbloods take LOTS of resources to stay healthy. For example, my 16.2hh Thoroughbred eats 4-5 pounds of grain in the winter and 20 pounds of hay. The Draft Cross I boarded ate 10 pounds of grain, 2 cups of sunflower seeds, a cup of vegetable oil and 40 pounds of forage. He also drank 2-3 times the amount of water (about 30 gallons). So you have to figure your economy. If resources are scarce, they’re going to be worth more. 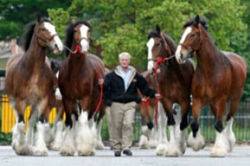 Is a farmer/common person going to be able to afford the care of a big/draft horse? Probably not. The hardier, easier keepers like AQHA and Rocky Mountains and Morgans are more likely (or scrubby Mustang crosses). On the other hand, this could definitely be a class distinction. Since Thoroughbreds can be more “difficult keepers” (they tend to take more food/water compared to some breeds) – their use by your Elite military would be a status symbol as well. Not only do they get the BEST horses for the job, but they can afford to maintain them. I think I go into it a bit in the 2nd Horse Article, but one of the largest factors to consider with horses is resource availability. It takes more to keep them alive than most livestock. That’s why they’ve been a status symbol (like fancy cars) for centuries. Who can afford to keep alive which breeds, or any breed, would be an important worldbuilding distinction. Thanks, Liz. I’m glad you liked it! “Eleven stallions and two mares” . . . I, uh. I’m speechless. I’m literally facepalming right now. 1) If your climate were suitable, I would suggest going for a smaller, more fleet-footed draft type. In Europe, the Irish Cob (aka Gypsy Cob, Gypsy Horse, Gypsy Vanner) was selectively bred specifically for pulling house wagons over long distances. They’re known for having the musculature and strength of a huge draft while being smaller, more compact. Irish Cob’s stay around 14-15hh, as opposed to the 18hh+ Clydesdales and Shires. Their smaller size meant they could pull heavy loads but were versatile enough to be used as riding horses when necessary. (The Romani people’s history of persecution meant they also wanted horses that could be fast when called upon. Huge drafts are notably less fleet than a Cob.) Since they were also bred to be great around children, the Cob was also known for being intelligent and careful. Thus, for purposes of meeting your first requirements (pulling a heavy load, being intelligent, AND being fast enough to stay ahead of hostile forces), the Irish Cob would be a great model! Unfortunately, your climate doesn’t seem conducive… The heat wouldn’t actually be a problem to the cob; many are raised and thrive in hotter regions like the Mediterranean. The hangup is food. The Cob was bred in Great Britain, where forage and clean water is plentiful. Grass, hedges, streams, and creeks were all readily available, and purchasing grain presented little issue. Like most drafts, even the smaller Cobs need lots of forage to prevent colic (see my article on Horse Injuries to learn more! 🙂 ). So the chances of a heavy horse thriving in an area with little clean water and forage is low. Your characters were have to keep hay, grain and water for the horses stocked constantly – which would take up precious wagon space. 2) If you want to stick as realistically as possible, I’d suggest either a plains type horse (a la the Mongolian Horse, a hardy, stocky breed of great intelligence but used as riding horses – not hauling wagons) or a non-equine altogether. People traveling in areas with plains and deserts typically did not rely on horses to pull things or get them to their destination because of how much forage, grain and water necessary to keep horses healthy. For instance: the Oregon Trail. While horses were known to be the fastest movers, most people who went on the Oregon Trail went with Oxen. Oxen were hardier and could mostly live off the land. Horses needed grain and forage, both which had to be carted along in the wagon, taking up valuable space. They also died faster/easier from dehydration, exhaustion or colic. In desert areas, like the Arabian peninsula, camels were the pack animal of choice because (like oxen) they proved much hardier than horses. Only the well-off could afford to travel via horse. 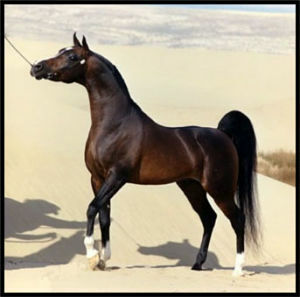 Even the Arabian (the best endurance breed in the world) cannot last long without water and forage. And the Arabian is one of the worst possible choices to pull a house wagon – not only are they not built to haul, but their temperaments are generally too volatile. 1) a breed based on the Irish Cob but modified to fit your world-building (a special breed specifically capable of surviving in your world). 3) a non-equine like oxen, camels, mules, etc. Hi there! 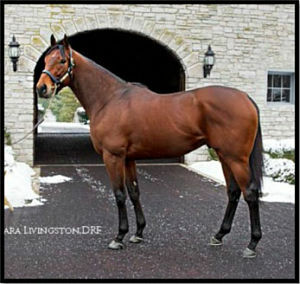 You have no idea how helpful this article is when it comes to writing horses. Currently, I’m working on a YA novel set on an equine rehab and boarding ranch in Wyoming and I was wondering if you would perhaps do another article detailing which horses are best-suited to which types of work. For example, today most rodeo, cattle-herding and roping horses seem to be of Quarter horse stock whereas a century ago, they were used for quarter-mile races. Things like that, despite some breeds having more physically-obvious traits that instantly point them to their work. In short, “this breed is best for this work”. I know I would highly appreciate it! 🙂 Sorry if I rambled a bit! I just ran across your article on matching horses to use, etc. I’m writing a SF novel about colonizing a new planet. The colonist have brought goats, chickens, dogs, and horses. If you’re willing to offer advice, I would appreciate it. Here are the constraints: (1) It’s a very long voyage, so even with a huge ship, they have only brought two mares (with longevity treatments) and frozen sperm. They had to be fed en route and survive the trip. (2) They will be used as draft horses, and other agricultural uses; and (3) The climate is tropical and unvarying–hot and very wet. I had about decided on Criollo horses when I ran across your article. I’m not a horse person (or a farmer, hence the vague “other agricultural uses”), and I would love to get your expert take on this.